In a recent interview MTV Games Senior VP Paul McGrooyer hinted that 2010’s Rock Band: Green Day would not be the only game from the music game publisher this year. While he didn’t specifically make mention of Rock Band 3 (RB3), many within the industry are speculating that we will see a release, and at the very least an announcement of the third entry in the music band franchise sometime this year. While normally, the speculation over another game in what has been nothing but a smash hit series would be met with joy and excitement, many have begun to groan and waver given the saturation of plastic instrument based games in the market. 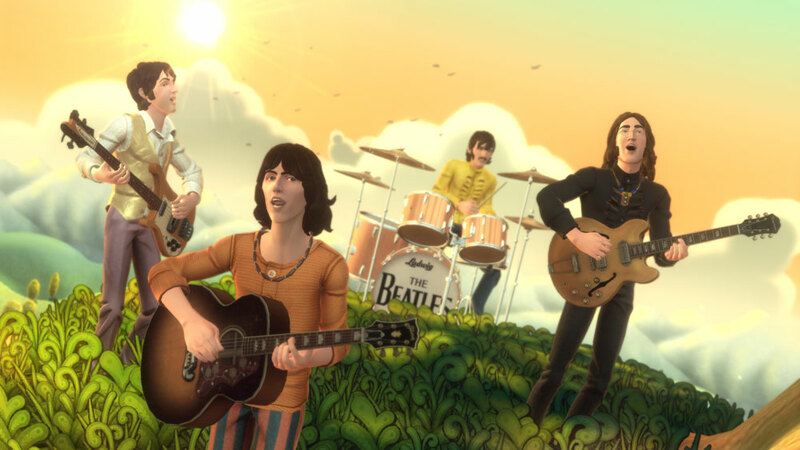 Activision released nine titles in the genre last year alone, and Harmonix has also gone to the well a few more times with 2009’s The Beatles Rock Band and Lego Rock Band. If Harmonix wants to generate significant buzz as well as sales for Rock Band 3 it needs to move beyond just adding another batch of new songs and slap on a shiny new graphical coat. Instead, it needs to push the envelope in the genre, while ridding it of a few lingering problems and errors that still seek to interrupt what still ranks as one of the best set of party games on any platform. Here is a list of 10 new ideas that Harmonix should think about implementing in RB3. I’m talking new stuff here, so having songs from RB1/RB2/DLC be exportable to RB3 is a given, as is online multiplayer and some form of career mode. I also tried to think of things that haven’t been mentioned before, so as much as we all want it, you won’t find “LED ZEPPELIN” anywhere on this list. Rock Band‘s core game play has always been pretty solid. There’s really no reason to touch the core mechanics because let’s face it, Harmonix nails the plastic instrument experience about as well as you can. Yet, that’s not to say there isn’t room for improvement, and if you’re trying to entice people to buy a new game, you have to show you’re trying to keep the game fresh and moving forward. First, Harmonix should just up and steal the idea of drop in/drop out that the Guitar Hero franchise now uses. This allows any player to jump into the action mid-song or even pause or drop out, without interrupting the whole band. This limits the times groups would need to back all the way out to the menu’s, just because someone wants to switch instruments or needs to alter the difficulty level. It creates a more accessible game for the end user. Guitar Hero fanboys might cry foul saying Harmonix is just copying them but sometimes a good idea is a good idea, regardless of where it came from. Another game play improvement would be to allow deactivation of the drum pedal, regardless of difficulty (optimally through the same drop in/drop out mechanic mentioned above). Not only can novice drummers focus on hitting the pads, but it also helps for marathon drumming sessions when ankles can get incredibly sore. If I had to bet on one of these ideas making it into RB3, this is the one I would choose and frankly the one I would like to see the most. Music games are getting stale that’s no question. More pop-centric set lists weren’t the solution, and neither is the “have four drummers in your band” gimmick Guitar Hero 5 introduced. The saving grace? Vocal harmonies. Introduced in Beatles Rock Band they allow up to three people to take part in singing and harmonizing at points where lyrics diverge. In the case of fewer lyric lines (like a duet) or when there are no divergences, anyone of the three people can sing along without penalty, so long as someone is singing the main line. This new feature made singing awesome again, added a layer of difficulty to the songs and made playing guitar and singing feel so damn cool (seriously, if you aren’t signing and playing guitar with Beatles Rock Band, you are playing it wrong). Vocal harmonies need to be standard in Rock Band 3. This opens up the catalog of potential songs more, like adding some Bruce Springsteen tracks with Little Stevie in the background and of course paves the way for the ULTIMATE harmonizing song, Queen’s Bohemian Rhapsody. C’mon, you know you want it. When playing Rock Band, at the end of each song, each member is given a breakdown of their performance. However, it’s a rather sparse set of statistics. All we are treated to is our overall percentage and one or two special little remarks about our performance, like our longest streak of correct notes. Time to break out the more advanced stats. Perhaps some more detail on just how many notes we missed, maybe even breaking the songs down to see how we did on the chorus versus the intro, and detailing better how close we were to being on pitch while singing. Aside from simply giving the gamer a better sense of their success or failure, improved tracking could be implemented with regard to how often we play each song. That way, we won’t end up playing the same songs over and over in career mode. Since when does playing “Maps” by the Yeah Yeah Yeah’s five times count as random? If Harmonix really wanted to empower the players, they might even think about letting us giving ratings to each song that would help determine how often they come up when using a random or mystery song set list. Have to give a shout out to my friend Jesse on this one. The name and idea are his creation, but it’s so good I’m using it. As more and more of us put a big time investment into Rock Band we need to start seeing that money pay off. Between instruments, actual games and downloadable songs some gamers have spent upwards of a thousand dollars on Rock Band. We pay for all of these downloaded tracks, so why not be able to listen to them? RB 3 should include a mode where it lets you create a set list or just run a “party shuffle” where it plays the songs and generates animations so you can use it to pump tunes at your next house party. Maybe even have it stream lyrics across the screen so you can have impromptu karaoke without hooking up the microphone. Another one from Jesse (he’s spent a ton on songs, so he definitely has a vested interest in getting his money’s worth); this time involving the boys from Apple. When you download a song to RB3 you also get access to a digital copy on iTunes for your personal music collection. Why spend $2 on a Rock Band version and then another dollar on the iTunes version? This one is probably a little pie in the sky considering all the negotiations between bands, Harmonix and Apple, but go big or go home right? Customization in RB has always been a little lacking. For the most part you just pick and choose from set faces, hair do’s, instruments and clothing. Lego Rock Band has some cool mix and match features due to the nature of Legos. For RB3, Harmonix should blow it out with a character creation system that lets you mold characters exactly how you want them, create customized gear and clothing and style the hair better. Along that line, avatars overall should be improved and maybe some licensed musicians can appear in the game. 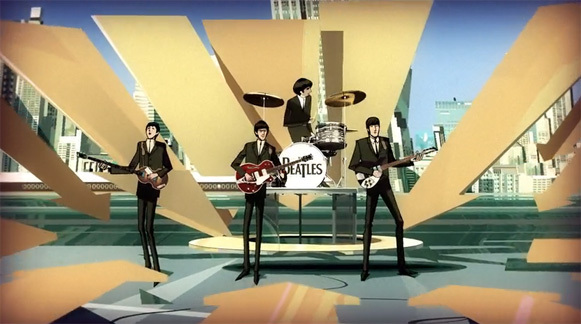 But please, make them more like the wonderful renderings of The Beatles and less like the creepy ones in Guitar Hero 5. 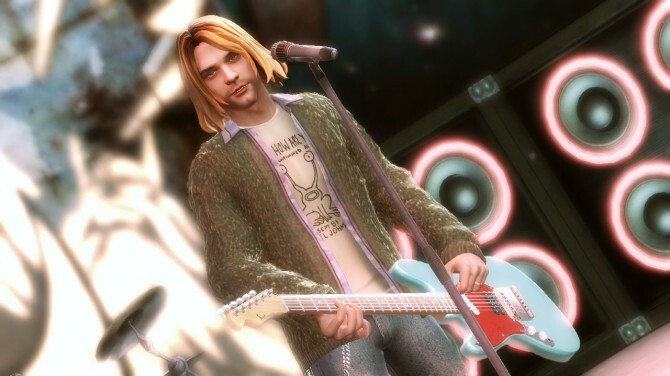 Oh, and let’s hope they put something in the game so that Kurt Cobain or another equivalent is NOT singing Taylor Swift songs. That’s just weird. I’m all for Harmonix implementing some Natal usage in RB3, as long as it doesn’t go overboard, no air guitaring please. One idea would be letting people use Natal to mo-cap some custom moves of their own that can then be applied to their avatar as they prance around stage. Or use the camera to capture the face and body of the gamer to be imported into the game so you can make an avatar that is more like you. That’s it though, no need to go nuts. It would be nice if RB3 could just be software and not hardware in order to keep cost down. If you’re like me then you probably still have old Guitar Hero 2 guitars and Rock Band 1 drums lying around. But if they are going to give us new instruments and accessories, make them good. For instance, pedals for guitars that plug into the guitar that can be used to launch star power. Additionally, wireless microphones and a microphone stand standard issue with any bundle. If there are new instruments, some sort of trade in program for old ones would be nice. I’m not talking a “bring the old, get the new free” policy, that’s asking a bit much, but I should be able to get a little discount on my old instruments. Right now, you can hardly give them away. Part of the greatness of Rock Band is the community it creates. Fans come together to rock out to their favorite bands, some playing across country from each other thanks to Xbox Live and the Playstation Network. Harmonix should make efforts to foster a greater community around the Rock Band franchise. Take a page from Bungie and allow bands to upload stats, accomplishments, and even videos of their best performances to their own page on the Rock Band website. This allows people to showcase their band and perhaps even try and find others to join in their virtual rock sessions. Need a drummer who can nail the double bass? Or someone who can belt out Freddie Mercury’s lyrics in perfect harmony? Now you can find all these people, rather than relying on a quick search in multiplayer, or your friends who “think” they are good at singing. This also creates a ready made means of creating feedback to the developer for future tweaks to the game and when deciding what bands/songs to add as downloadable content. Career mode is probably still the weakest point of the franchise. Other than playing through part of it to unlock all the songs in the game there really isn’t any incentive. And once you’ve played through it there’s almost no reason to replay it again, unless you have a masochistic urge to tackle the “endless set list” again. Nonetheless, Harmonix should look at creating more incentive to take a band on the road. Sure “challenges” are great, and its nice to see them pushing down new ones from time to time. Another great idea would be to take a cue from The Beatles Rock Band and offer specific bonuses for scoring high on certain sections. Rather than old photos or videos, special outfits or instruments could be the awards of choice. Maybe make some of the licensed outfits, characters or instruments from real life bands the awards. While everyone might not want to get these unlockables, they certainly would be a completionist’s dream. Additionally, the special challenges that had the band work together to try and accomplish a task in Lego: Rock Band(like outrun a T-Rex, or demolish a building) were a really great way of mixing up the game play. Adding these to a standard career mode, and perhaps using updates to add in new ones and create variety, can help to keep career mode fresh even after hours of touring. A change to the “story” of the career mode might work too. Every band that sets out does not end up becoming “the greatest band in the history of the world”, despite that being the end goal in pretty much any music game career mode. Some bands become legends while others are perfectly content being indie stars or just wallow in the luxury of the world of music videos. Offering different paths to success with unique set lists, awards, venues, and other unlockables would certainly give gamers a reason to try out career mode more than once. So there you have it, 10 ways Harmonix can re-energize its music franchise and put Rock Band back at the top of the mountain.